Noshhh, the local “secret” food and drink pop-up vendor showcase, is expanding their brand to include regular weekly workshops throughout the city. Noshhh has partnered with Chhaya on East Passyunk and The Living Room Cafe in Queen Village for Tuesday evening classes from 7pm – 9pm that will rotate between the two locations. Each week will feature a different workshop featuring beer, cocktails, food and more with Noshhh vendors past and future. Beginning this Tuesday, March 8 at Chhaya, Home Brewed Events will be hosting a Little Boots Brew Day & Bottle Share to celebrate Interational Women’s Day. Entry will cost $15 and a bottle of sour beer for the bottle share, which will help raise money for a new local chapter of the Pink Boots Society, which supports women in the beer industry. Next Tuesday, March 15, will be an open house at the Living Room Cafe. To mark only one months until the next proper Noshhh event, the brains behind Noshhh invite you to swing by and see what they have going on for the event and to learn about what they do. Admission for this one is free. On March 22, Mike Nimmo of Stateside and Home Brewed Events will be holding a Classic Beer Cocktails class at Chhaya, where attendees will learn how to incorporate beers into three classic cocktails. Tickets are $25 and will let you shake up some cocktails, learn about their history, and why beer works so well in each. 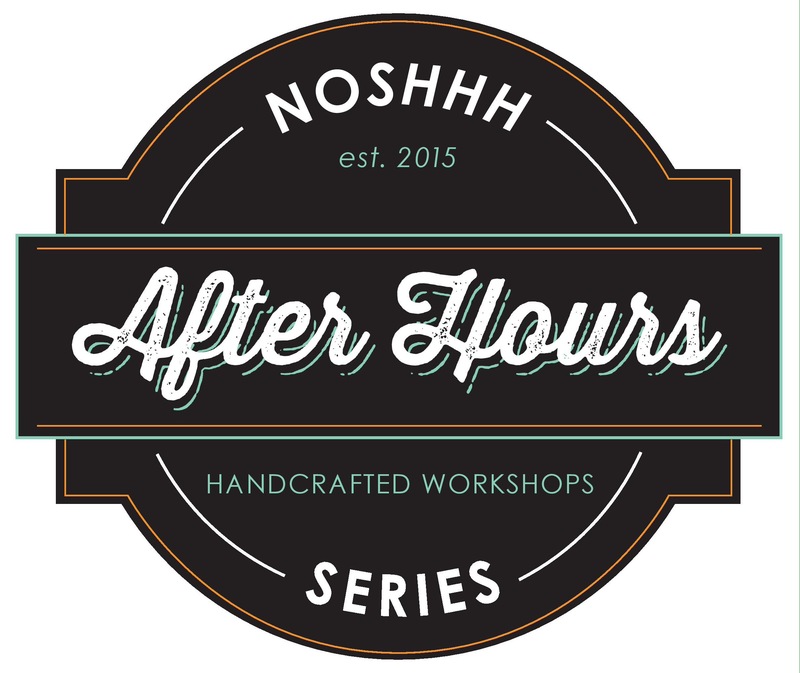 Finally (for now), the Living Room Cafe will host the March 29 installment of Noshhh: After Hours with Michelle Silberman of ChocAmo Cookie Cups. There will be a presentation and tasting on how to make your own cereal infused milk with a kick, and you’ll be able to indulge in a cookie cup creation. Tickets are $20 for the class and samples of cookies and adult milk. Tickets can be purchased through Noshhh’s Ticketleap site, and these weekly events should do well to hold you over until the next regular Noshhh event on April 15, which we have more information for soon (because we’re already excited about the attendees). This entry was posted on March 6, 2016 by Ryan in Events and tagged after hours, chhaya, home brewed events, living room cafe, noshhh.